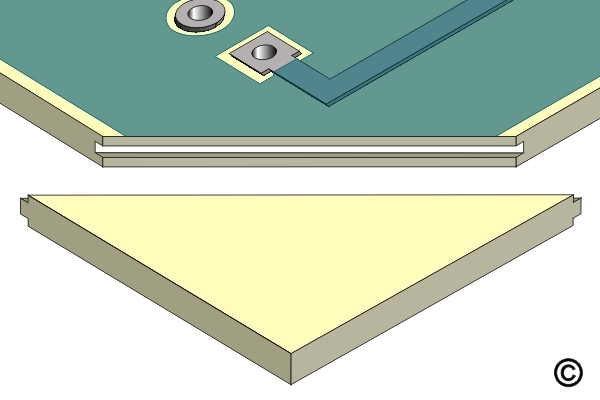 What happens to an assembled circuit board with a broken corner? Can it be repaired reliably? It certainly can if you have technicians who are trained and experienced at this expert level repair. We can reliably repair nearly all types of base board defects including impact damage, burns, delamination, blistering, measling, warp, routing errors and more. 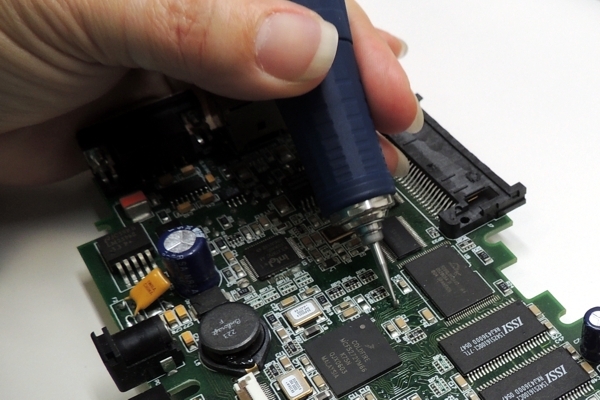 We can also repair defects in coatings, solder mask and legend. For most minor repairs, we use high strength, thermoset epoxy, blended with color agents to match surface colors and textures. 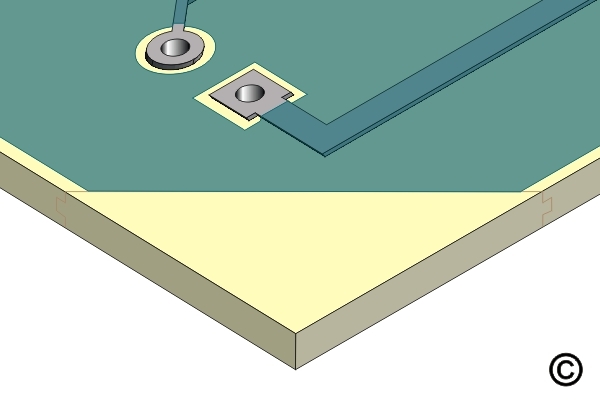 We replace severely damaged base board material by bonding in replacement material using a tongue-and-groove joint. Preview the slides below to discover how we do it. 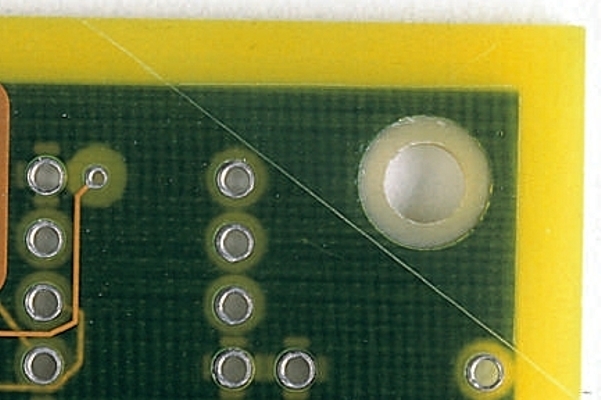 This image shows severe base material damage at a circuit board corner. 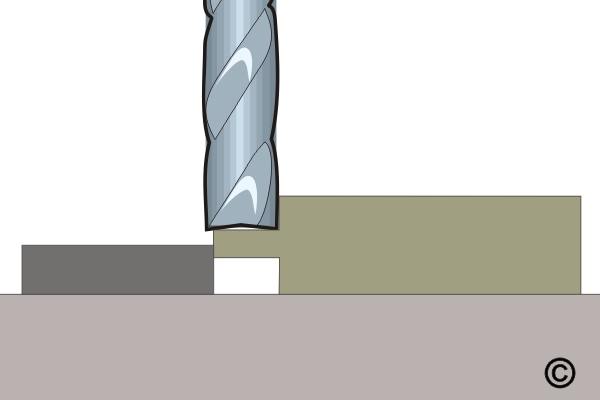 A tongue-in-grove method is used for this type of complex repair. It may seem extreme, but is commonplace repair at Circuit Technology Center. We evaluate the extent of the damage and determine the labor time and materials costs. We confirm to you the full cost before we proceed. Once you give us the approval, we schedule the work. Step 1. We cut away the damaged board material using milling machine. We cut back to the point where all the damaged material is removed and there are no fibers of laminate material should be exposed. Step 2. We machine a groove in the edge of the circuit board where the new base material will be installed. 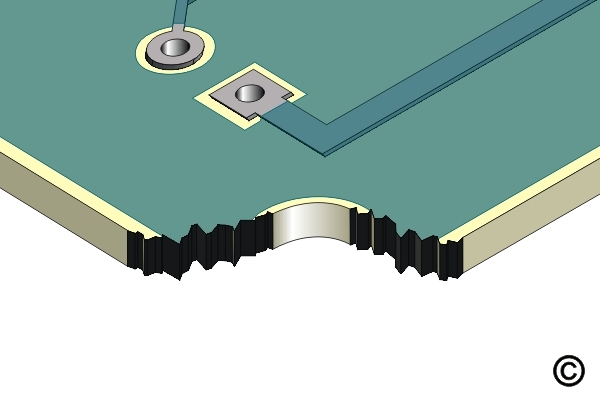 The groove is precisely centered in the edge to ensure that the new material will fit properly. Step 3. We check the fit to be sure the new base material properly mates with the groove in the circuit board. Then mix epoxy, coat both the tongue and groove surfaces with the epoxy and fit the pieces together. Step 4. After the epoxy has cured we saw or mill off excess base material to restore the proper profile. 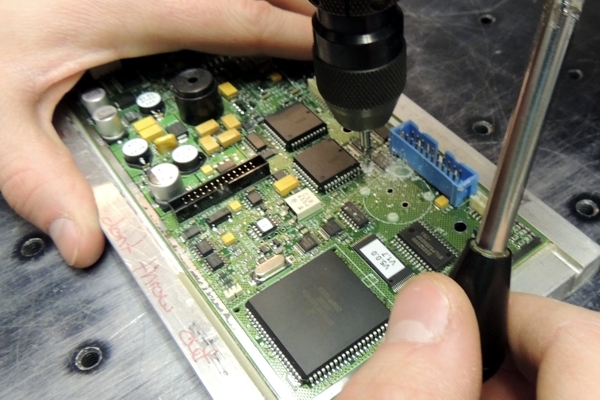 We check to ensure the circuit board conforms to the required dimensional configuration. Step 5. We cut a piece of replacement base board material that is the same thicknessas the piece removed. We machine a tongue onto the entire mating edge of the replacement base material. Step 6. 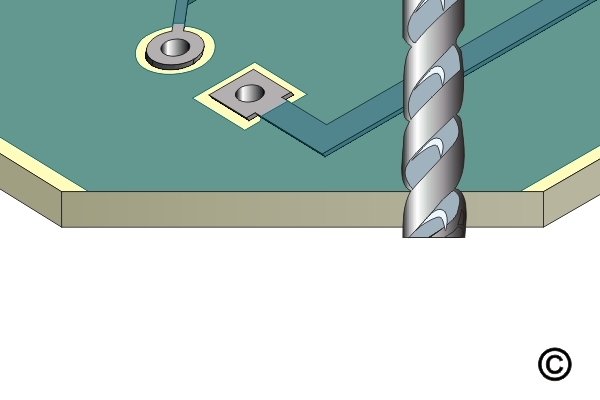 We complete the repair by drilling holes, slots, etc. or adding circuitry as required. We also apply solder mask or coatings to restore the appearance. Operations may include precision milling, drilling, cutting using either milling machines or precision bench-top drill systems. 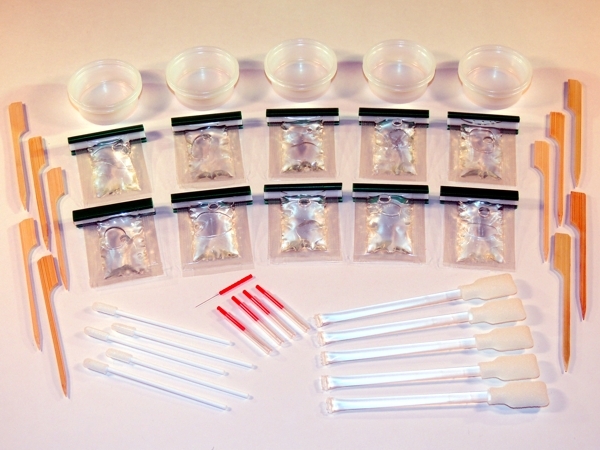 Operations may include precision cutting and grinding using dental-style micro-drill systems. This photo shows the repaired circuit board. This high conformance level repair follows documented IPC guidelines to ensure the repair is reliable and robust. Refer to the following procedures for detailed information. For prices on base board repair and rework go to: Service Charges. 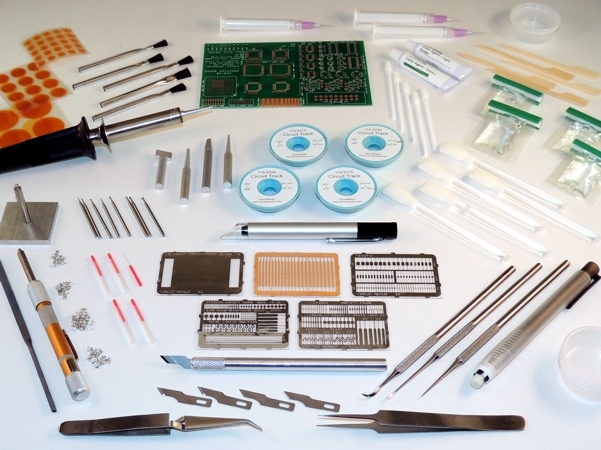 Procedures covering delamination and blister repair on circuit boards. 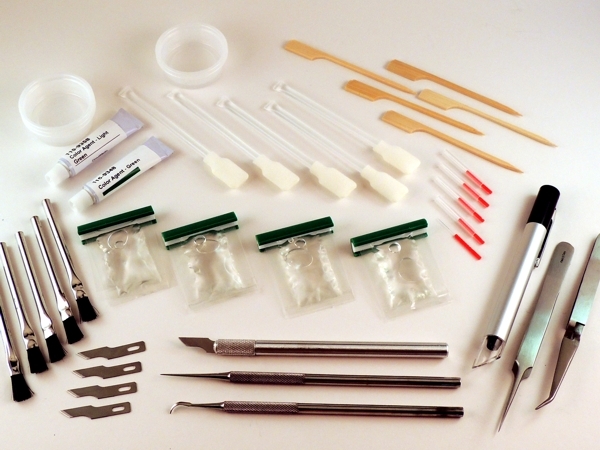 Procedures covering bow and twist repair on circuit boards. 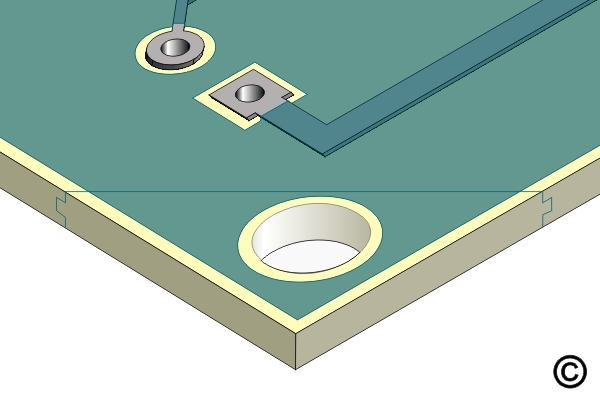 Procedures covers repair of non-plated holes on circuit boards. 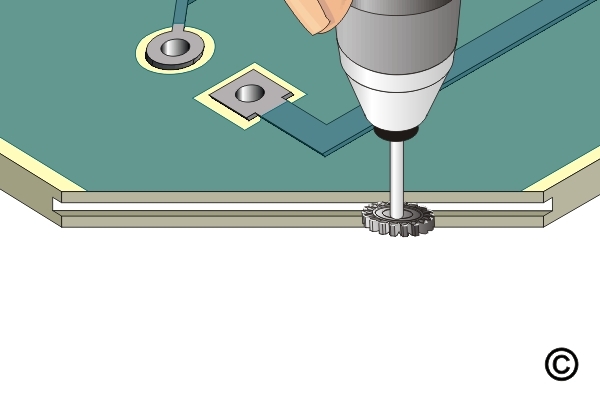 Procedure covers repair of slots on circuit boards. 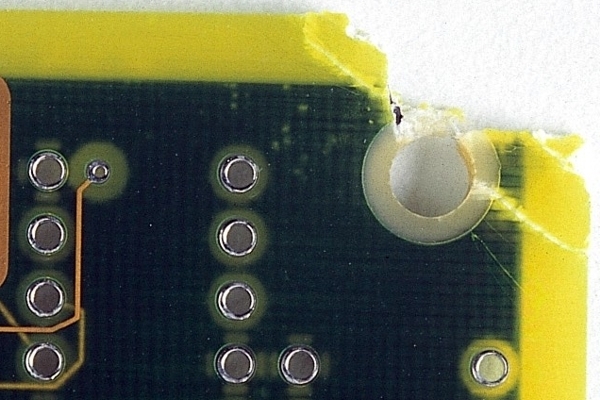 Procedure covers repair of damaged base board on circuit boards.